5" x7" blank note card with brightly colored envelope. Individually sleeved. Printed in USA on 10% PCW paper. 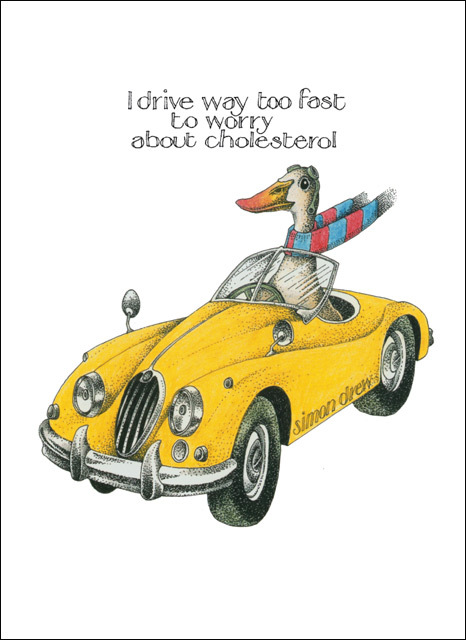 Outside text: "I drive way too fast to worry about cholesterol"